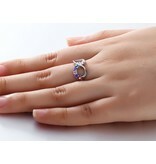 By-and-by silver ring containing 5 birth stones and a place for engraving the inside of choice. 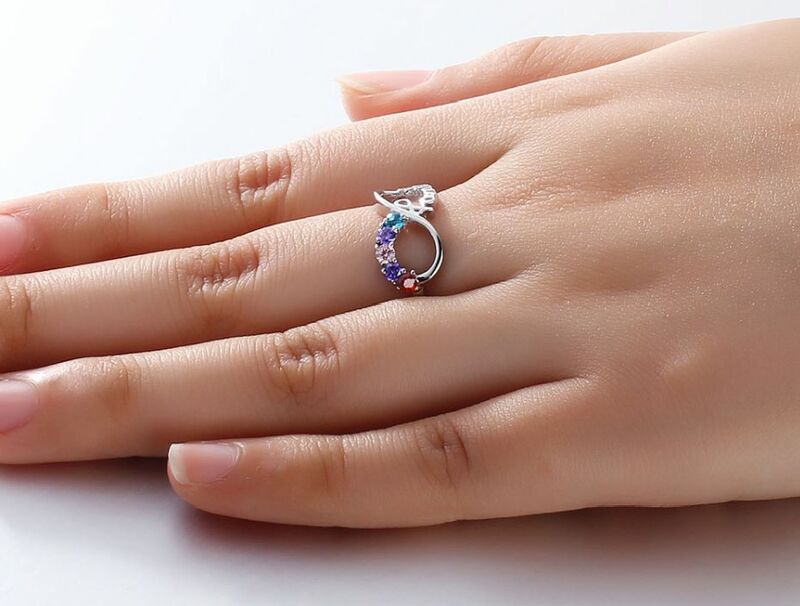 So you carry the whole family with you forever! The names in the silver lasered, then we make it black for a nice contrast. ♥ The stones are about 2.5 mm. 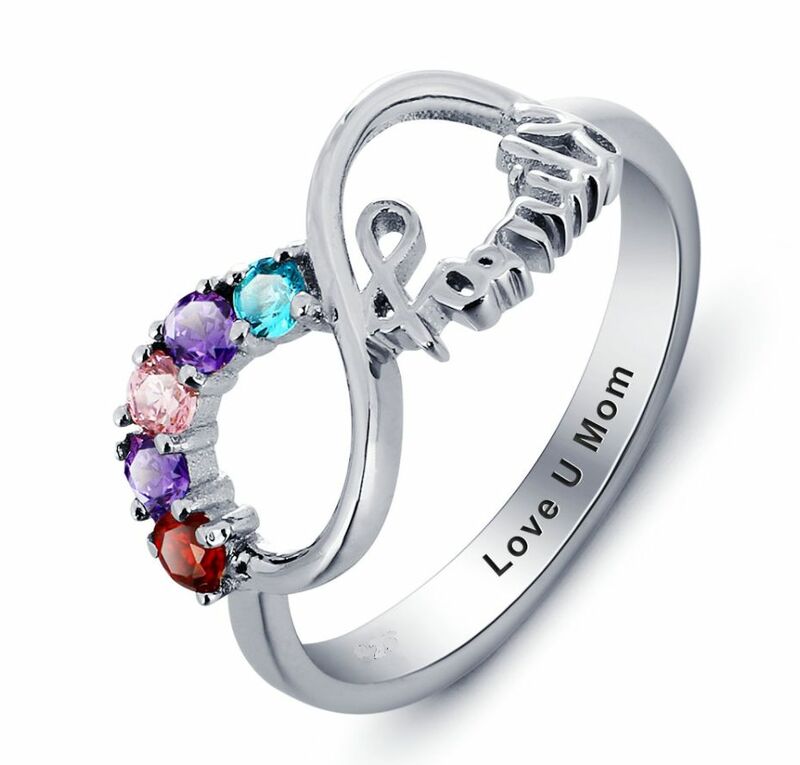 ♥ We can engrave up to 20 letters on the inside of the ring. ♥ The engraving is stubtiel and finesse.